French billionaires have pledged $450 million to restore Paris’ Notre Dame Cathedral following the devastating fire on Monday evening. François-Henri Pinault, chairman of Kering (the parent company of Gucci), has announced he and his father would donate €100 million via their family investment company, Artemis. 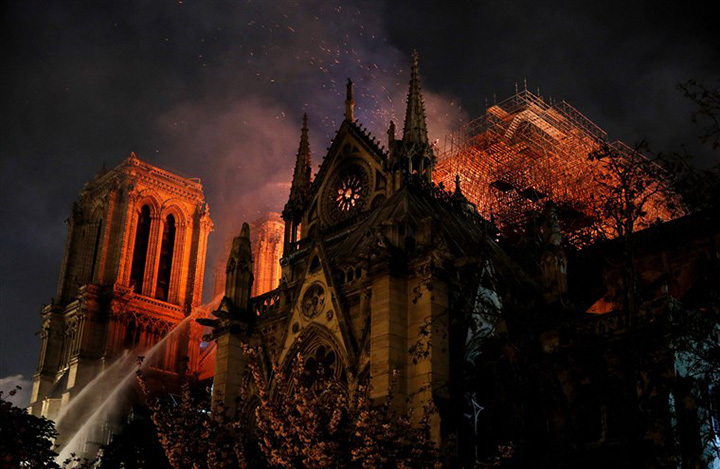 “My father and I have decided to unblock from the funds of Artemis a sum of 100 million euros to participate in the effort that will be necessary for the complete reconstruction of Notre-Dame,” Pinault wrote in a statement. The Arnault family, owners of luxury goods group LVMH, has pledged €200 million to restore the 800-year-old cathedral. “The Arnault family and the LVMH Group, in solidarity with this national tragedy, are committed to assist with the reconstruction of this extraordinary cathedral, symbol of France, its heritage and its unity,” said the family in a statement. Total (TOT), a French oil and gas company, has pledged €100 million. Henry Kravis, co-founder of private equity group KKR, has pledged $10 million. Tech and consulting firm Capgemini has promised €1 million. French President Emmanuel Macron has promised to rebuild the site, stating Monday that France will launch an international fundraising campaign to assist with the effort.